Learn the Art of Oriental Dance With One of the Northwest's Top Dancers! 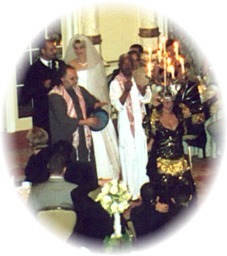 Zaphara performs her signature Egyptian candelabra dance for an Arabic wedding at the Four Seasons Hotel in Seattle Outstanding entertainment for your special event! A master instructor & entertainer in the Pacific Northwest, Zaphara is one of the few belly dancers in the US of Greek heritage. She has appeared in night clubs and taught workshops throughout the Northwest and other US cities. During that time, she has appeared on local, Canadian, Japanese & National TV shows (ABC's 20/20). 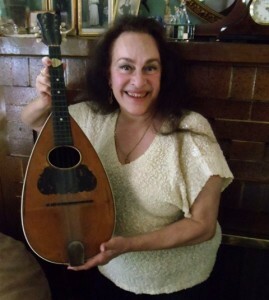 Zaphara has co-produced, hosted and performed in 4 one-hour TV shows on public access; Belly Dance 101, My Big fat Greek TV show, The Cairo Connection and It's Greek to me. Zaphara has also traveled to Greece, Egypt, Turkey, Bogotá Columbia, & the United Arab Emirates to study, perform and teach Middle Eastern dance. In Cairo, Egypt, she trained with Nagua Fuad, Egypt's "Queen of Oriental Dance" and with Mahmoud Reda, choreographer/director of the Reda Dance Troupe. In Seattle, her instructor for 10 years was Shamiriam Pick, International Singer & Dancer from Iran. Zaphara is choreographer /director of Zaphara's Middle Eastern Dancers, who are members of the Ethinic Heritage Council of the Pacific Northwest. Zaphara is available for workshops, classes, birthday, retirement, wedding, and other special event performances, including dinner parties. or contact me via email. Check our Performances Page to see where Zaphara is dancing next. Live! Live! Life is a Banquet! Receive our e-mail newsletters, and find out about troupe performances, special events, and other information. All we need is your name & e-mail address.